Shari Phillips is the President and founder of e2e Exchange, LLC, formally known as E-Rate Exchange, LLC. She formed this company to better serve the specific needs of clients during the E-Rate application process. Shari has specialized in the planning and preparation process of E-Rate funding since the inception of the USF/School and Libraries Division E-Rate program and has vast experience in managing the E-Rate process. She has a broad experience working with BOCES, school districts, private schools, charter schools, non-traditional schools, libraries, and consortia. Shari has assembled a dedicated team that manages over 450 school districts and over 1,800 E-Rate applications that are in various phases of the process, with applicants in 42 states nationwide. 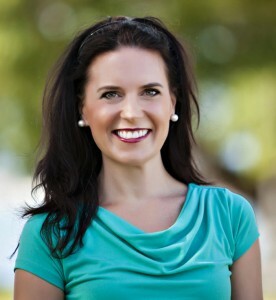 She understands application strategies that can increase the funding opportunities for clients. Over the years, she has established an effective management process that successfully maximizes and secures E-Rate funding for school districts nationwide. Shari recognized an opportunity to better serve the educational clients by offering her personal dedication and commitment and by sharing underlining core values with the entire e2e Exchange team. She has since collaborated with her team to pass on both her expertise and dedication, resulting in a team of committed and cause-motivated individuals who are passionate about what they do. Shari's proven ability to create new business opportunities and to initiate and foster strong client relationships has become the foundation of e2e Exchange. As President, Shari continues to develop the organization's strategic direction while guiding the team to take on new corporate objectives that will become the future of the growing organization. 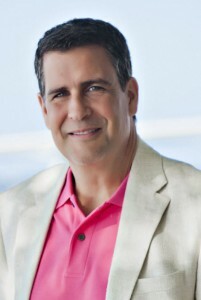 Doug Phillips is the Vice President of e2e Exchange, LLC, formally known as E-Rate Exchange, LLC. He is responsible for the Sales & Marketing initiatives for the organization. Previously, Doug served as Vice President of Technical Services for a $150 million North American Computer Manufacturer Corporation for over twenty years following military technical training with the U.S. Air Force. Doug holds a degree in Electrical Engineering Technology and is a former C5-A Galaxy US Air Force Crew Chief. He was an original member of Intel's Board of Advisors (2004-2007). He also led his team to develop new and innovative technologies that resulted in superior customer growth and satisfaction. Doug has extensive knowledge of the E-Rate application process and continually monitors the internal processes to make the team better and more efficient. Doug is committed to going above and beyond for the firmâ€™s clients to ensure that e2e Exchange is always providing the best possible customer experience.